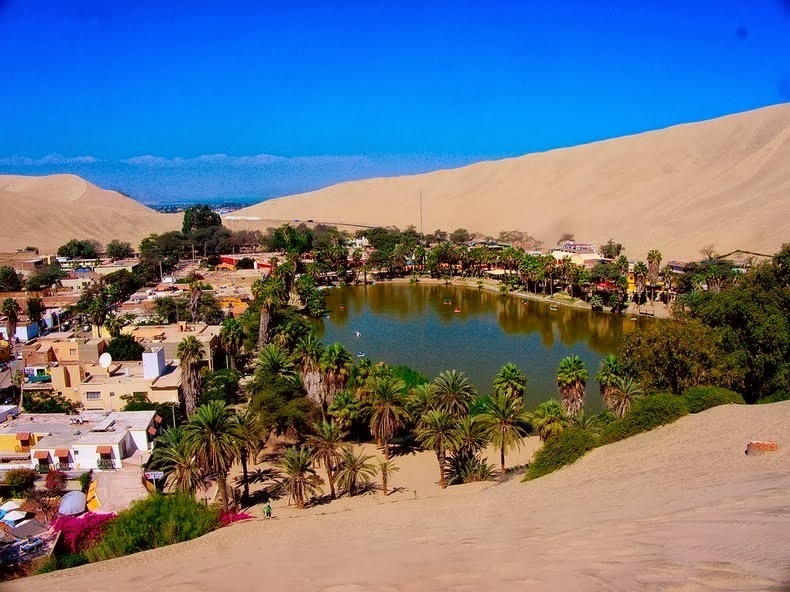 Just 8 km away from the city of Ica, in southern Peru, lies the picturesque desert oasis of Huacachina. 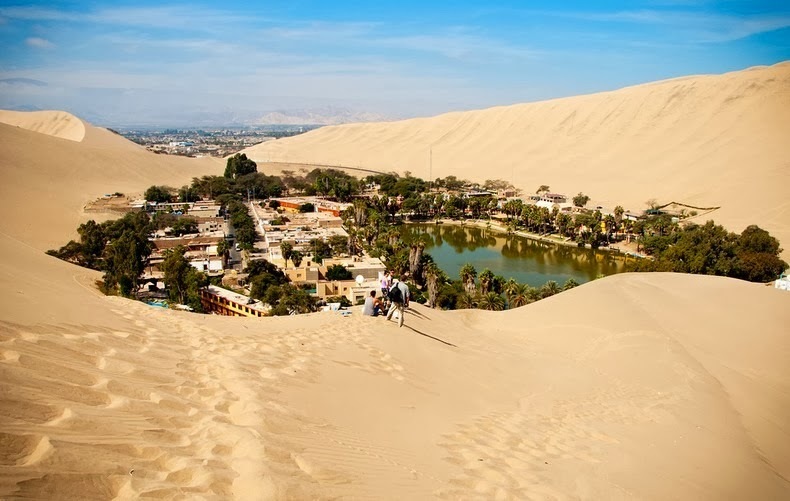 Built around a small natural lake and surrounded by enormous sand dunes that stretch several hundred feet high, Huacachina has the looks and feel of a remote Saharan outpost, but in reality is only an hour’s drive away from the Pacific coast. 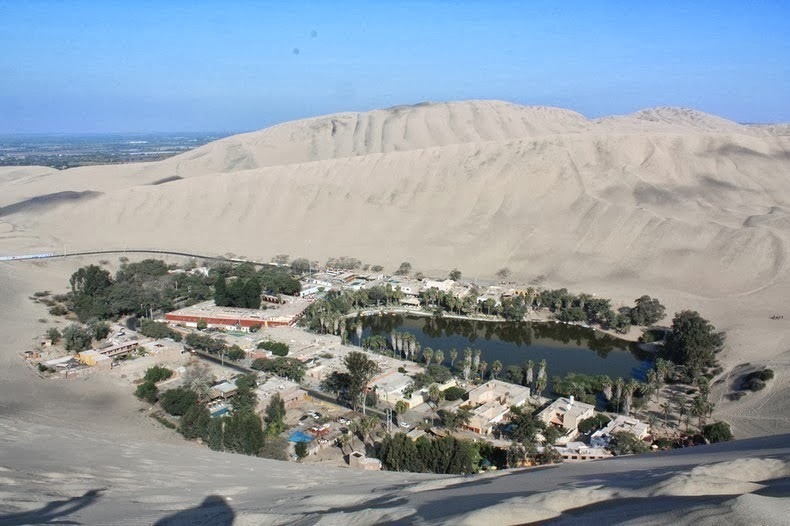 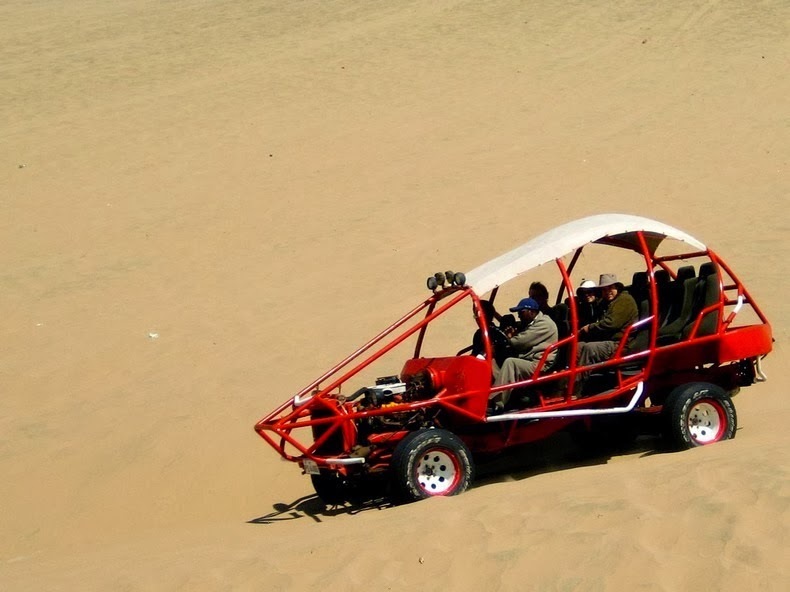 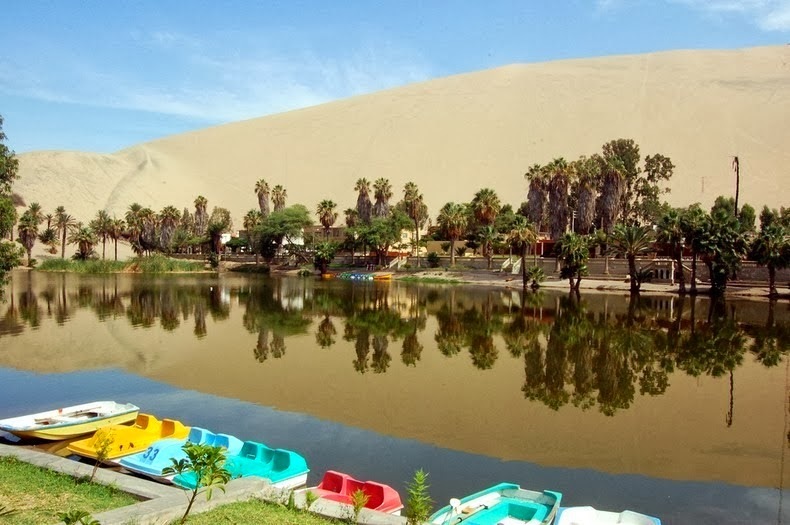 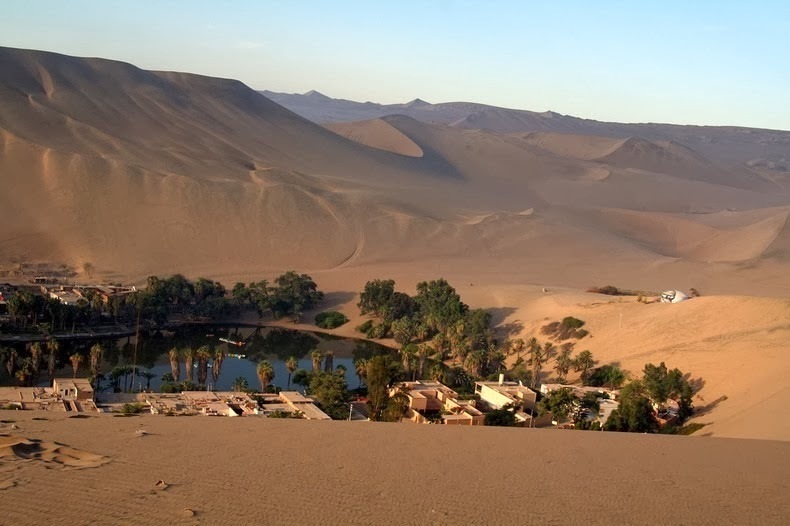 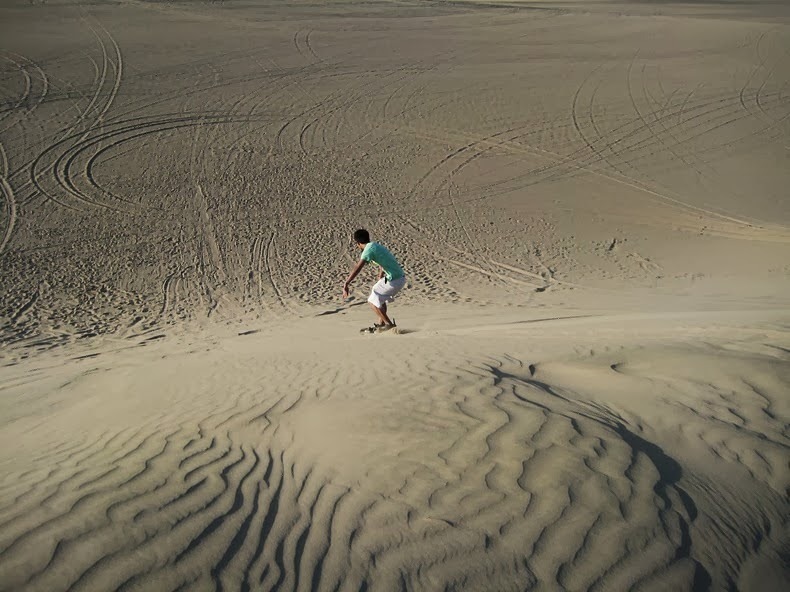 Huacachina has long been a tourist destination for wealthy local families from the nearby city of Ica, and lately a major destination for sandborders who travel from all around the world to ride the peaks. 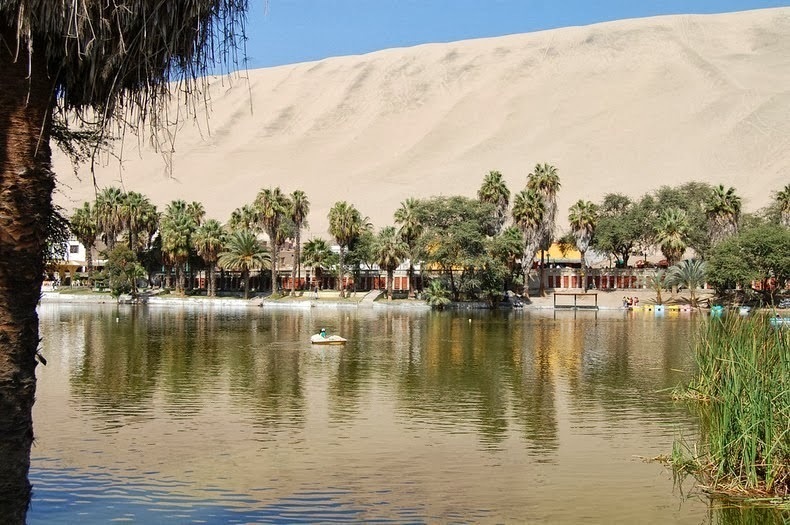 The oasis is basically a collection of resorts and restaurants around a blue-green lagoon surrounded by huge sand dunes, with a permanent population of around 100, who depend entirely on tourism. 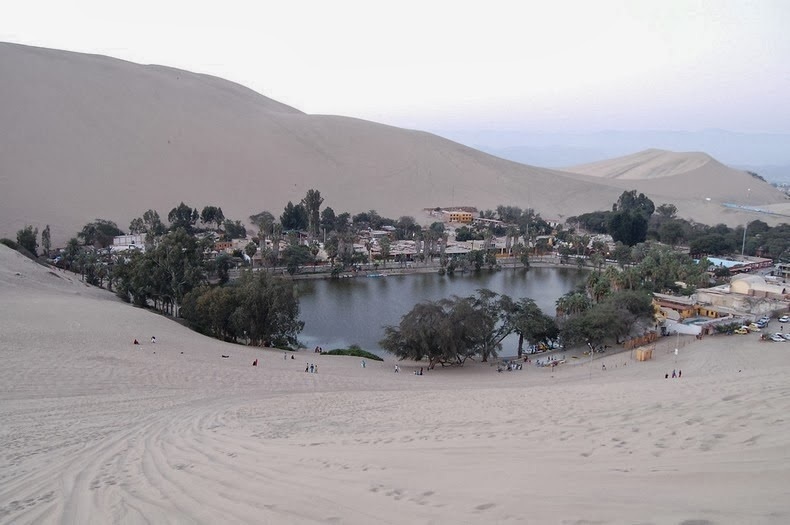 0 responses to "Huacachina, Peru's Magnificent Desert Oasis"